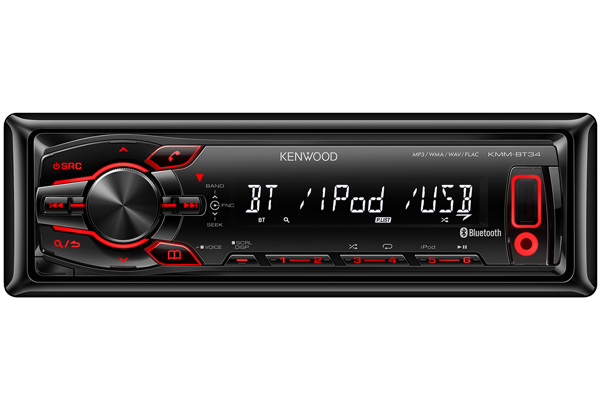 Kenwood’s KMM-BT34 is the first in our range of Bluetooth hands-free solutions for people who no longer use CD’s, this model will give you the ability to playback compressed music files or FLAC high quality files via its front mounted USB input. 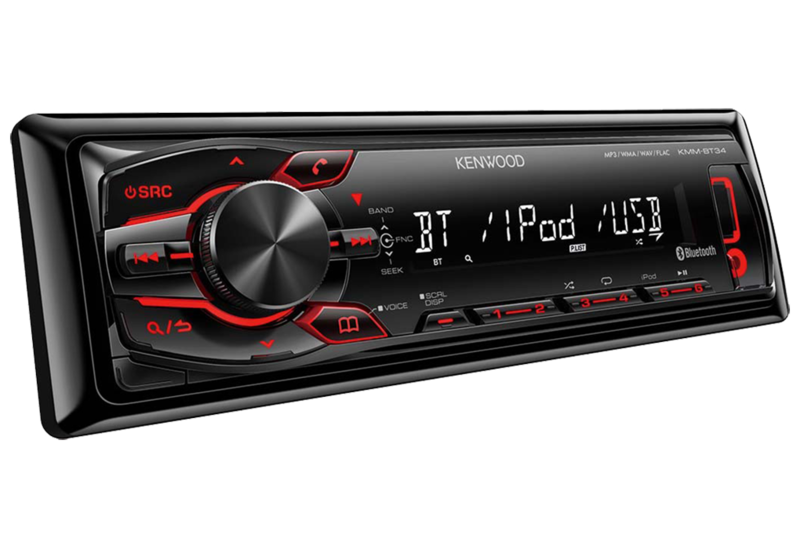 iPod/iPhone users can also access and control their music library. On the Bluetooth front your phonebook list is displayed for selection and previous call logs can also be used. In coming caller number or name is also displayed before you allow connection. A second phone can also be connected for call/send/receive only. 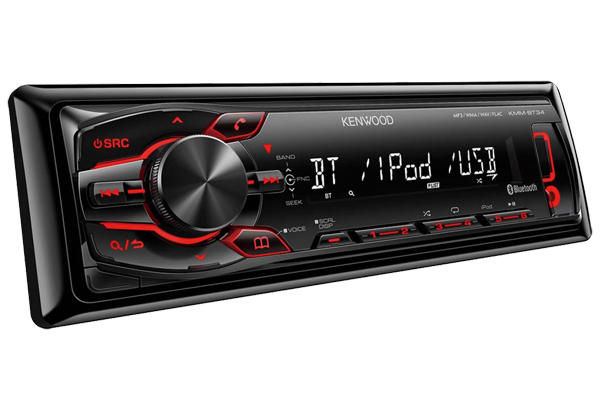 A high power 4x50watt built-in power amplifier will fill your car with high quality sound from any source.